The relationship between a developer and a property manager can be a bit tricky. While a developer’s role is to establish and execute a distinct vision for a particular property, it is ultimately the responsibility of the ongoing management team to maintain the defined operating parameters of a developer’s property upon stabilization. 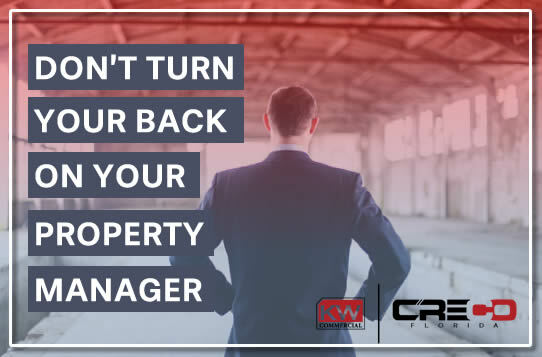 Often, the property manager acts as the first line catch-all for many tenants, maintenance, and operational problems that arise from ongoing operations That said, these problems often come at an expense to the developer or investors of the project. Therefore, it is critical that the developer/manager relationship serves as a symbiotic and dynamic alliance, where all parties strive to achieve shared and beneficial objectives for the property. The manager must be loyal to the developer and investors and act in the absolute best interest of the project and the owner’s investment.The manager must adequately account for all property funds that are collected, maintained, or disbursed concerning property operations. Proper accounting practices include the utilization of the best available bookkeeping and money management strategies that fully comply with all local, federal, and internally established rules. A monthly statement of all accounts must be provided to each owner, clearly illustrating all funds collected and distributed on behalf of the project. The manager must disclose any conflicts of interest or personal property used to the developer before engaging in any on-site management responsibilities. A manager tasked with the oversight of any residential rental property must have an evident understanding of local landlord/tenant law and regulations. Many states have stringent laws protecting the rights of tenants, and any missteps or violation of tenant rights can ultimately become a liability to the property owner or developer. A manager must take all necessary steps to reduce overall risk and general liability to the property owner and developer. This management responsibility includes mitigation of all physical risk to tenants and patrons but also encompasses administrative protection from potential litigation against the property owner. Address or legal description of the propertySpecific duties and responsibilities of the property manager.The owner’s duties and responsibilities – establish a defined distinction between property, asset, and entity management.All the authority and powers granted to the manager by the owner.The length or duration of the agreement.Termination provisions for ceasing management responsibilitiesAll management fees and additional compensation payable for the administration of the property, includingmanagement fees, application fees, screening fees, rebates, discounts, and overrides. The agreement should define when each form of compensation is earned, and when it will be paid.A description of the monthly accounting, financial, and reconciliation statements that are to be provided by the manager.How the property management records of the owner’s rental real estate will be handled after termination of the agreement.Disclosure of the use of management employees, or outside business activity in which the manager has a related interest.Any agreement to place trust funds received into an interest-bearing client’s trust account or security deposits account as allowedAny particular pass-through charges that will be paid by the owner.